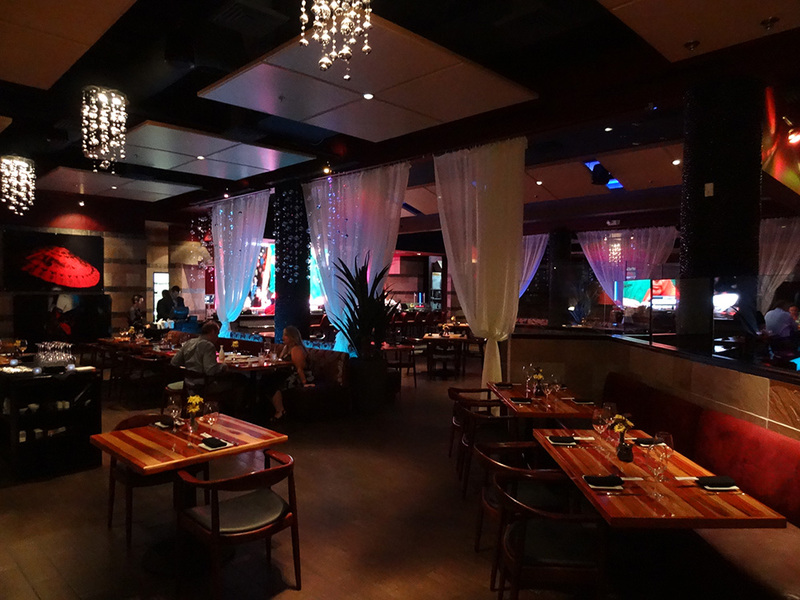 Geisha House serves premium steak and sushi in a spacious, elegant atmosphere. 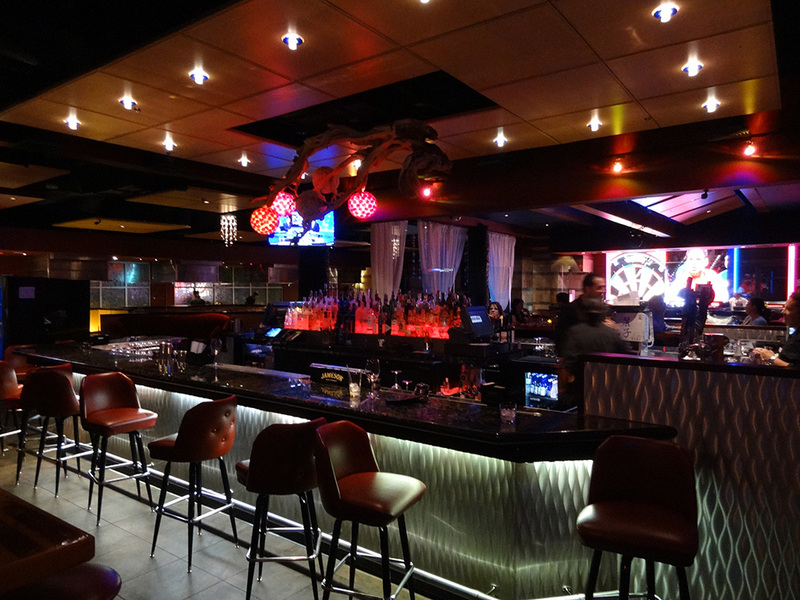 On Friday and Saturday nights it transforms into a mini-nightclub scene, offering bottle service, DJs, hookah, and a fun dance floor. You can also reserve “Naked Sushi” in private rooms. 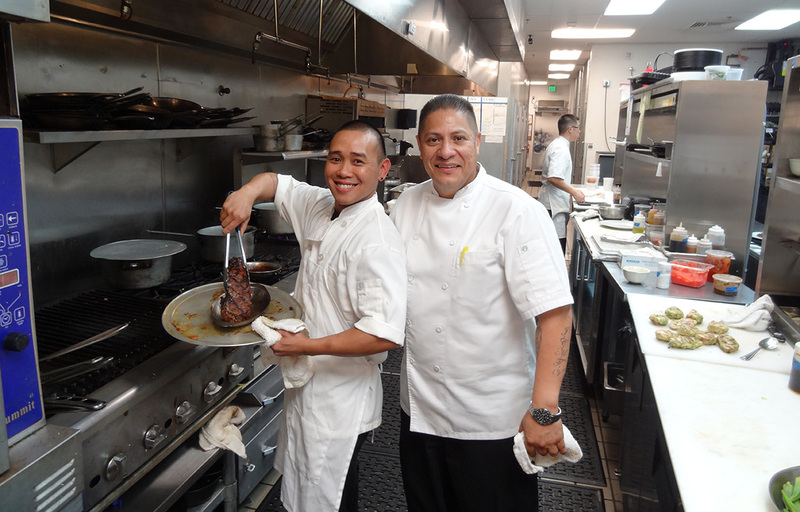 Located in Summerlin, 9719 Flamingo near the 215 & Las Vegas Athletic Club. 702-485-5166. I’ve lunched and dined here four times, the most recent last night. I’ve loved it every time. 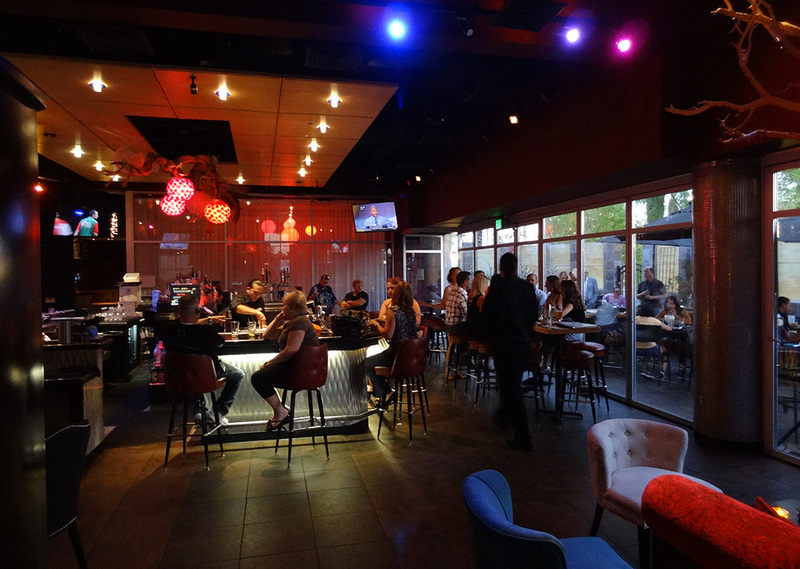 It’s classy yet casual, with several roomy areas that provides a variety of seating, from dining to bar to patio to private rooms. They hold festive events, too, sometimes packing the place with over 300 people. Last night was about right for fine dining, a good crowd but not overwhelming. 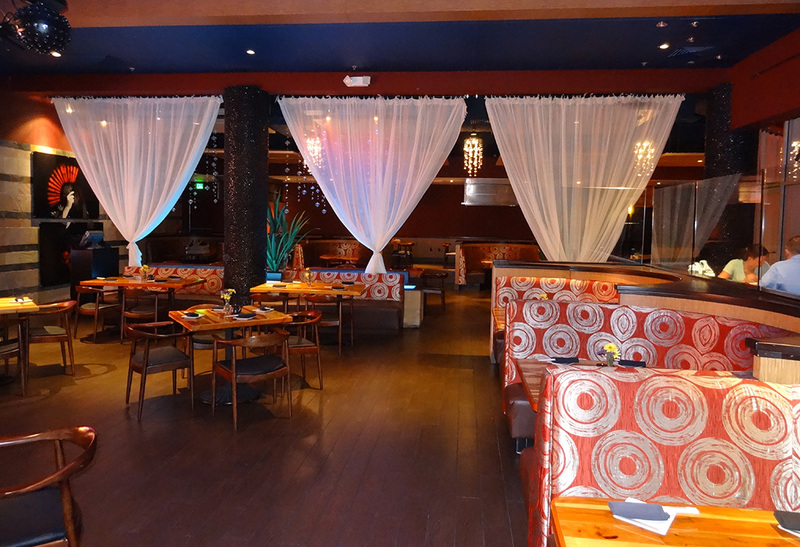 A swank yet accessible environment welcomes you, with colors sometimes soft, sometimes vivid, and interesting Asian art. Two charismatic friends joined me, Rolando Barone and Lisa Agnolin. Rolando is the lead singer of Barone Quartet. We started with some sake samplers. 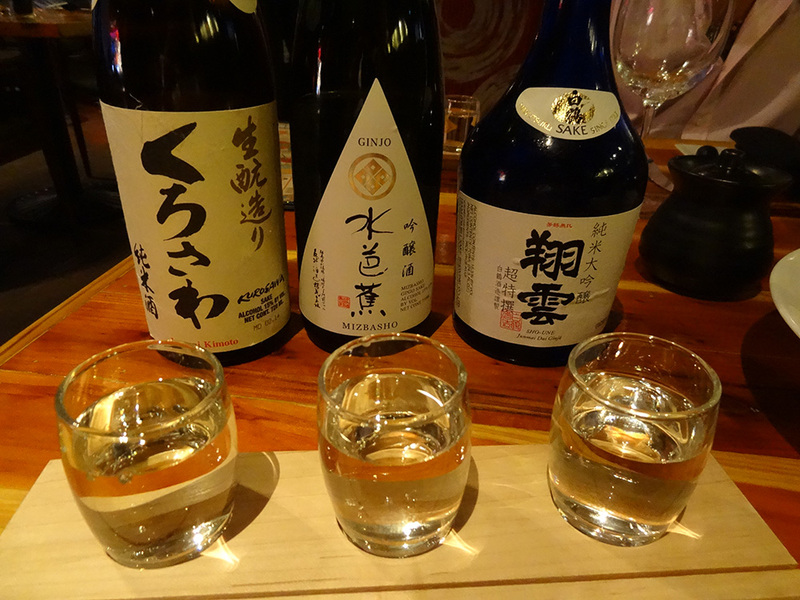 Ever since spending two years as an English teacher in Kyoto, Japan, I’ve loved sake. My favorites are those made from highly-polished rice, which makes it cleaner and more refined. They all went down smooth — and the rounder bottle on the far right was the best! 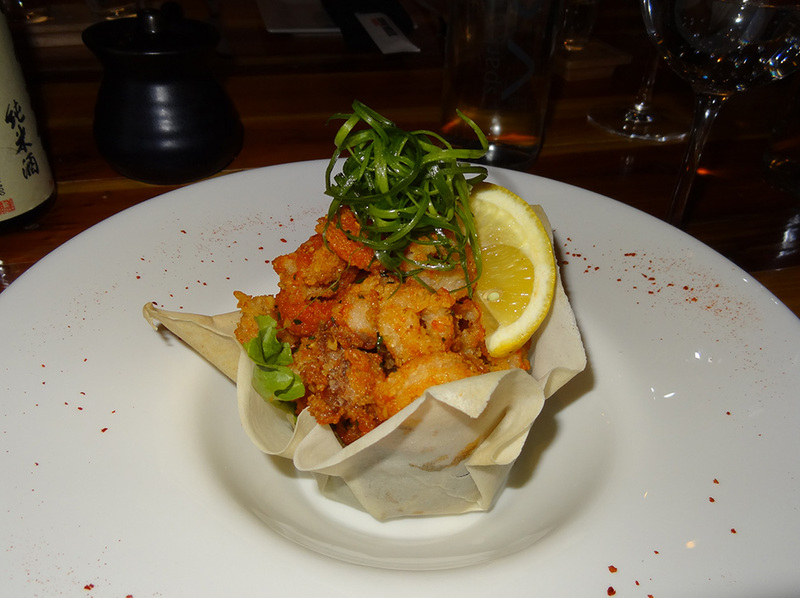 Then came the fried calamari-sriracha in brown butter. Tasty and spicy. Next up, pork belly skewers with pearl onions, garlic chip, and honey soy reduction. We ate every piece in delight. 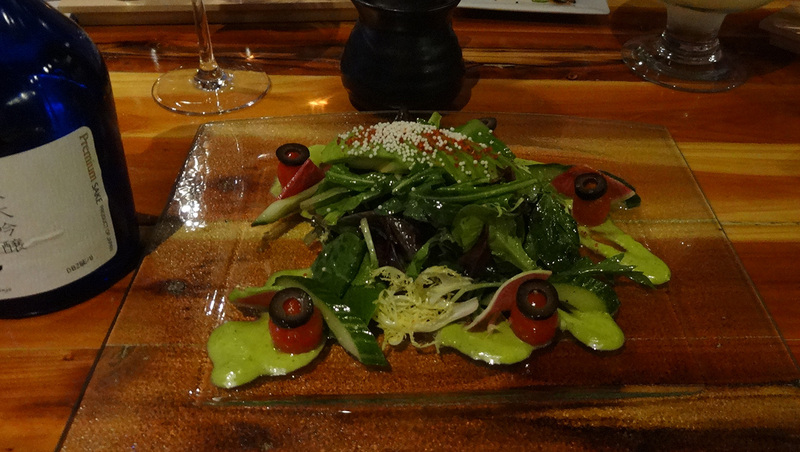 Staying healthy, we tried their house salad, consisting of baby greens, watermelon radish, and avocado in Yuzu dressing. No complaints. 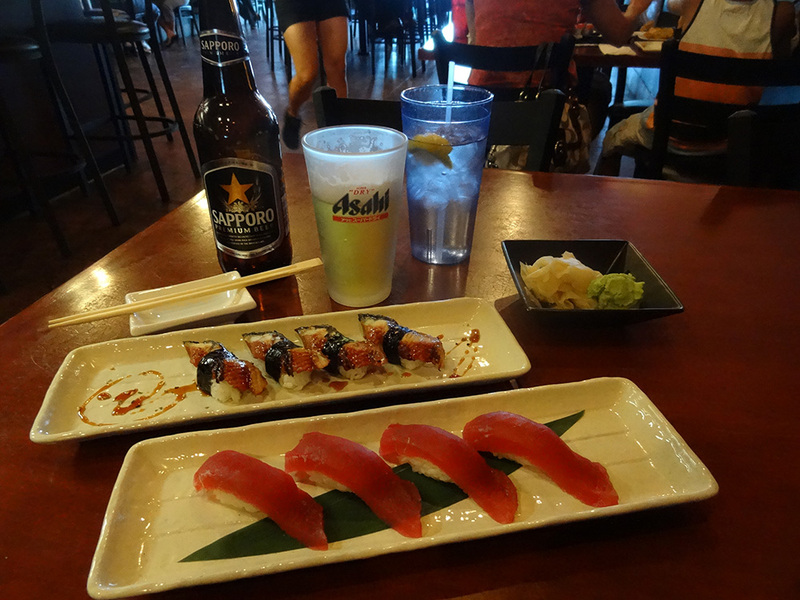 4th Course: nigiri-salmon, tuna, himachi, sweet ebi, albacore, & halibut. All delicious. 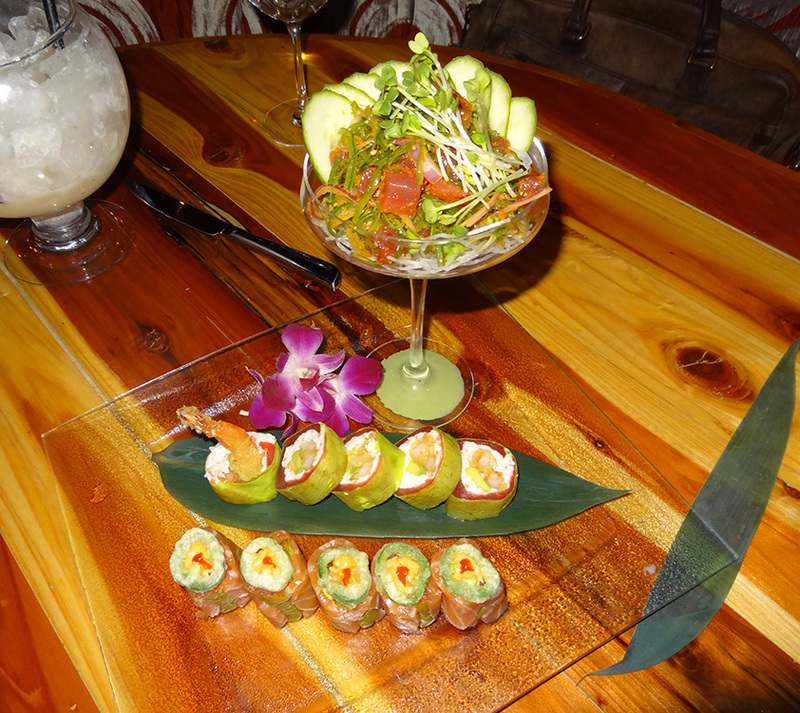 5th Course — JJ Special — shrimp tempura, avocado, crab, & ahi poke. Needless to say we were all enjoying this sushi feast! 6th Course: C.A.B. short rib-lardon, honshemji mushroom, and pearl onion. 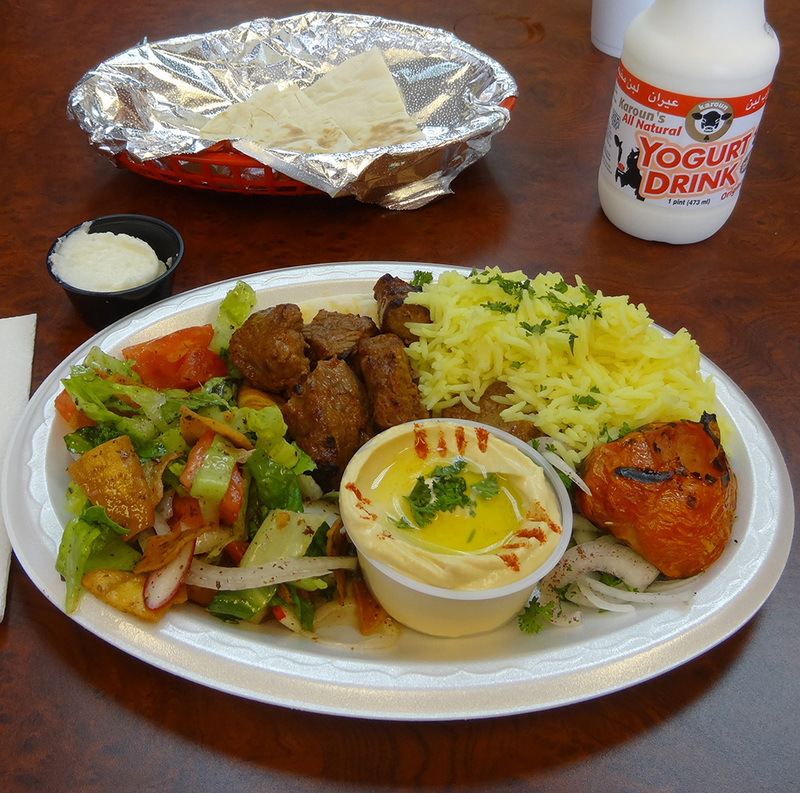 Usually the term mouth-watering is used as a hyperbole, but in this case, I think our mouths were actually watering. If all these courses weren’t enough, out came a magnificent dessert. 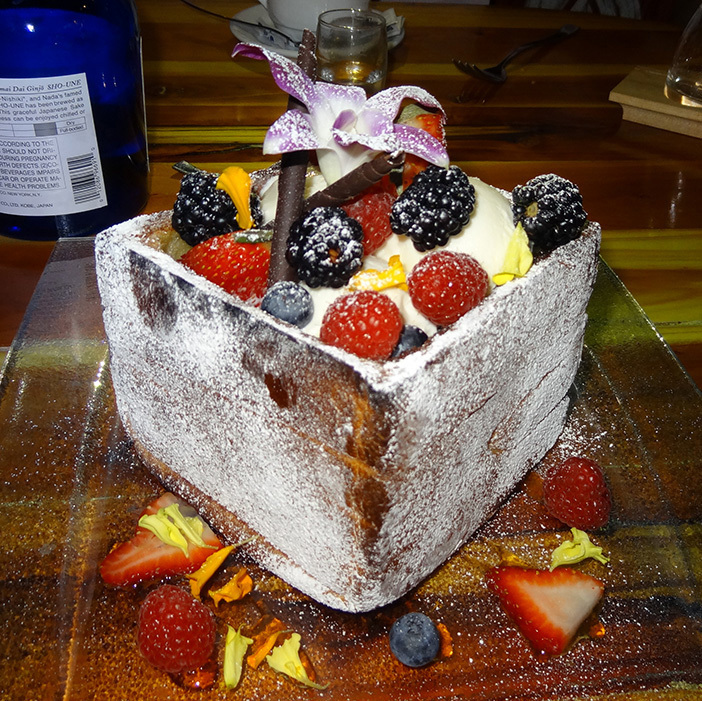 Honey toast soaked in maple syrup, vanilla ice cream, strawberries, boysenberries, blueberries, & chocolate sticks, garnished with flowers. Eating this was heaven. You can probably imagine that from the picture. 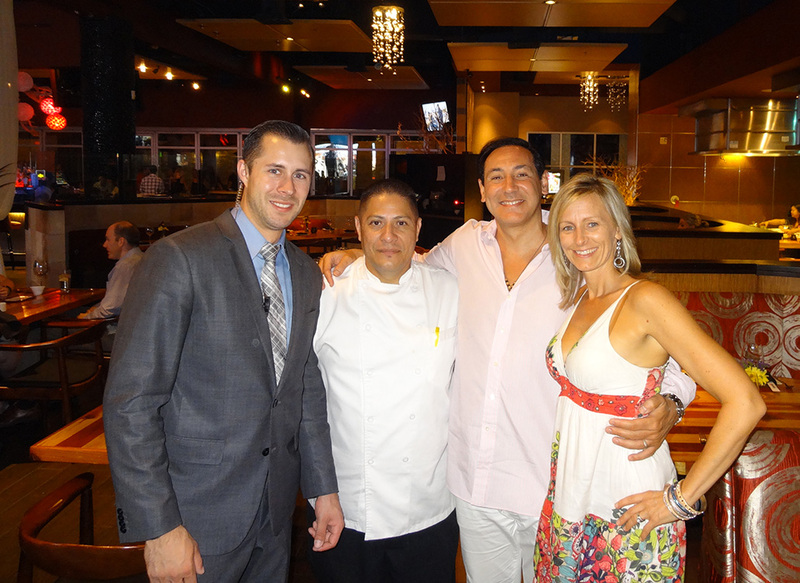 Afterwards I snapped a picture of Jon Hannett, Event Manager, Vincent E. Contreras, Executive Chef & Manager, and my two friends, Rolando Barone and his wife Lisa Agnolin. Asking for a quick look in the kitchen, I took another shot of Vincent and one of his assistants. 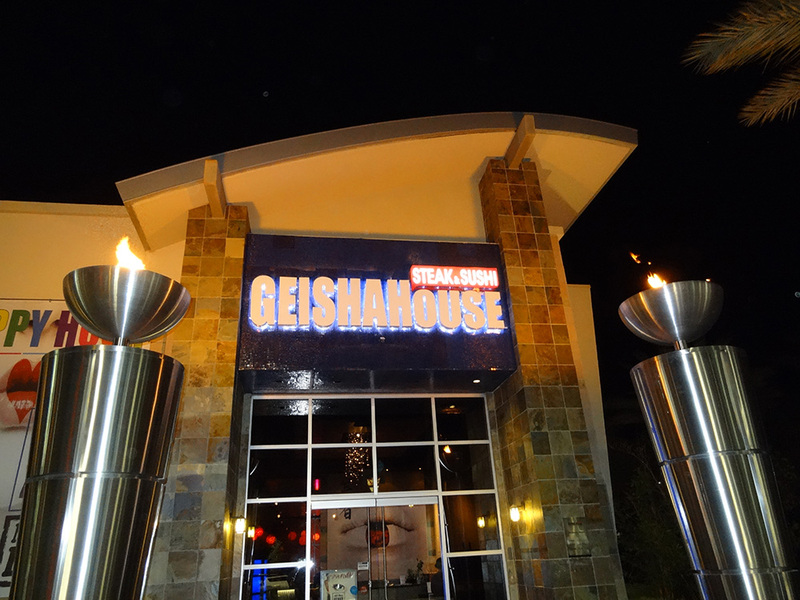 The Geisha House feels like an Asian gem in Summerlin. Whether you’re a tourist, frequent visitor, or local, you must visit them soon!